Amazon also said that the $199 Android powered Kindle Fire tablet is the best selling product that Amazon currently sells, period. For Black Friday 2011, Amazon said it sold four times the number of Kindles that it sold during Black Friday 2010. Once again they failed to reveal specific sales number. 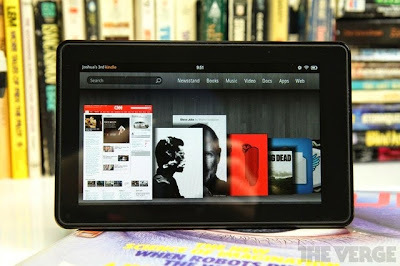 Even other retailers have reported solid sales of the Kindle Fire. The same press release said that in Target stores, the Kindle Fire was the best selling tablet device for Black Friday 2011 (and yes, we assume that means it sold more than the iPad). Best Buy chimed in as well. While it didn't go into detail a spokesperson said, "If this Black Friday was any indication, they are only getting hotter as we get into the shopping season." All of this news sounds like the Kindle Fire, and indeed all of the Kindle family of Readers, will be showing up under some trees this holiday season. It should be interesting to compare Amazon's sales success on Black Friday with the Barnes and Noble Nook Simple Touch, the Nook Color and the Nook Tablet.